Update: Ken helped me figure out what was going wrong. It was a rendering problem, rendering everything in Maya Software when it should have been in mental ray. I thought I’d tried it but I’d probably messed up a few settings in my attempts to get things working. 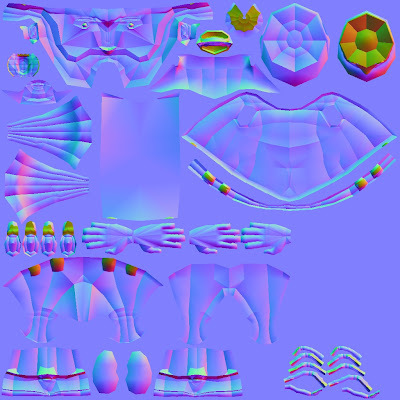 Normal mapping is easy enough to set up, or at least it seemed that way last week. This week now I’m utterly confused. No matter what I’ve tried the problem remains. Have a look for yourself and see what I mean. 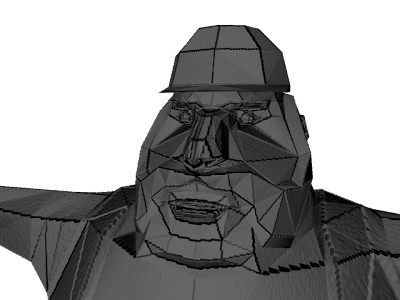 With a normal map applied I get this through the render frame window. Here’s ny normal map file. There doesn’t seem to be anything wrong with it yet there’s horrible black lines right up it. Take the shirt for example. Completely smooth on the normal map though a thick black line runs up it when rendered. I thought that perhaps in a really early version of the model I’d applied a toon outline but I can’t see any sign of anything like that in either hypershade or the outliner windows. Anyone have any clue as to why this is happeneing? Also, it may not be relevant but the computers in the MProf area can’t seem to do high quality rendering so everything has to be in Maya Software. 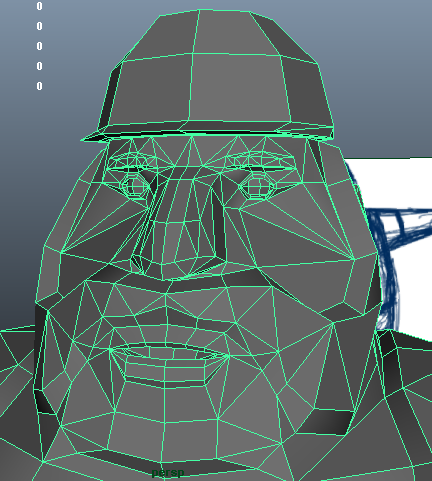 Any attempt at Maya Hardware will crash the program and drop me right back to the desktop, losing any unsaved progress.